Top female filmmaker Emem Isong was nowhere sighted around The Haven,GRA Lagos,the venue of Funke Akindele’s wedding,despite the fact that her closest pal,Monalisa Chinda was among various entertainment stars who graced the occasion. While roving eyes were wondering the reason why Ms. Isong can stay behind in such a ceremony, and actually allowed Ms. Chinda to step out alone, it was disclosed that she may have deliberately shunned the ceremony. This is because the invitation card was made available to her the very day other actresses who were present at the wedding got it still, she was not present at the party. 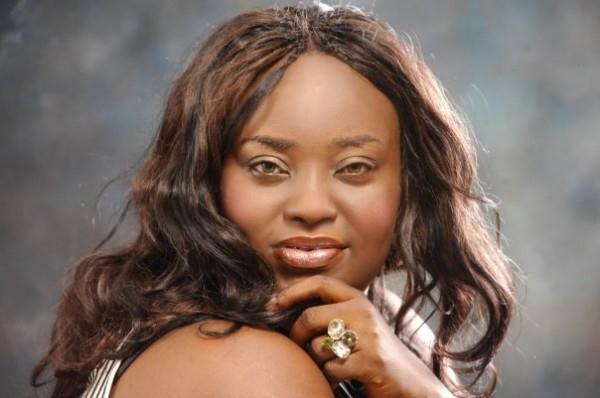 The rumour mill has however revealed that Ms. Isong has revealed the reason of her absence to close friends. According to her,Funke Akindele-Oloyede has never attended any of her events and movie premieres in the past. It was alleged that prior to all her film premieres she always make invitation cards available for the actress and producer, she will as usual turn her down and refused to attend. The Akwa-Ibom State movie producer considered it waste of time and energy to attend the ceremony of someone who has never stepped her feet into her own events. The sources continued that the same issue stopped veteran actress Eucharia Anunobi from making that trip to France during actress Stephanie Okereke-Idahosa’s wedding. It was alleged that Mrs. Idahosa has on different occasions turned down various invitations from her sister from the same state, and could not have expected her to travel all the way from Nigeria to France to attend her wedding, despite all the apologies and pleas that came from her.